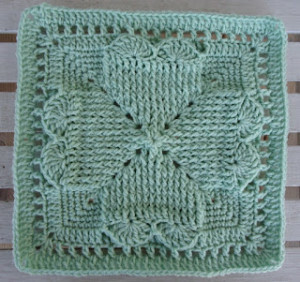 This amazing 12″ afghan square is great for celebrating Valentine’s or Christmas. Or, crochet it for a loved one to let them know you care. You will need a worsted weight yarn and an H crochet hook to complete this beauty. If you enjoyed this free crochet pattern you might also enjoy more designs by DragonFlyMomof2 Designs.